Today I have a bevvy of cards to share with all of you. 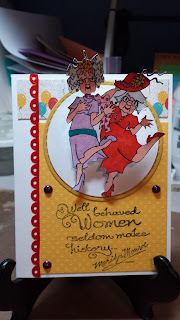 While my sweet hubs baked a ham and cooked green beans and potato salad my girlfriends and I got to play. 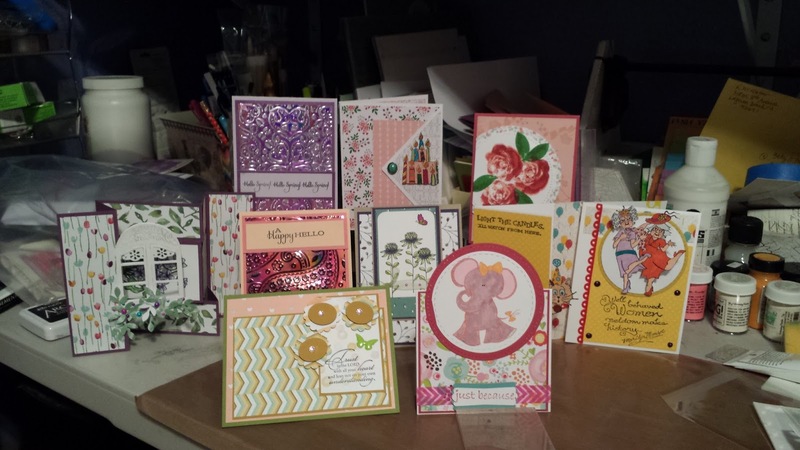 In the first picture below you will see all of the beautiful cards we created. 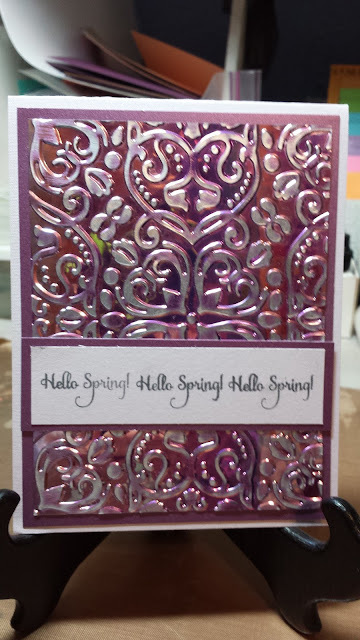 Purple card was made by dry embossing a shimmer sheet and then sanding (by me). 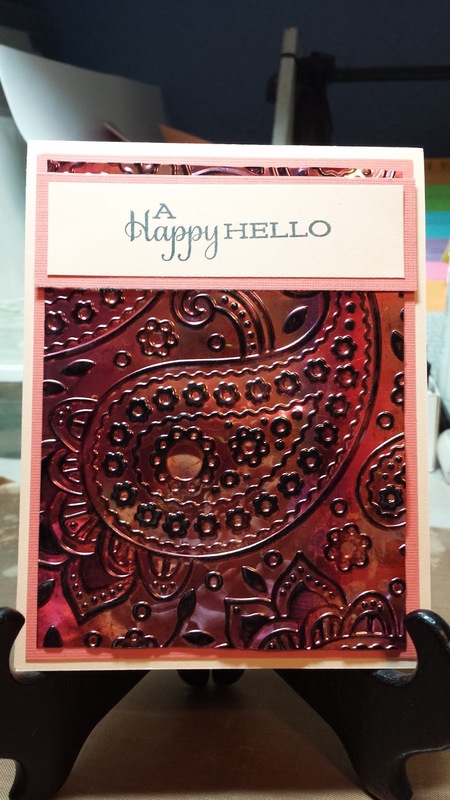 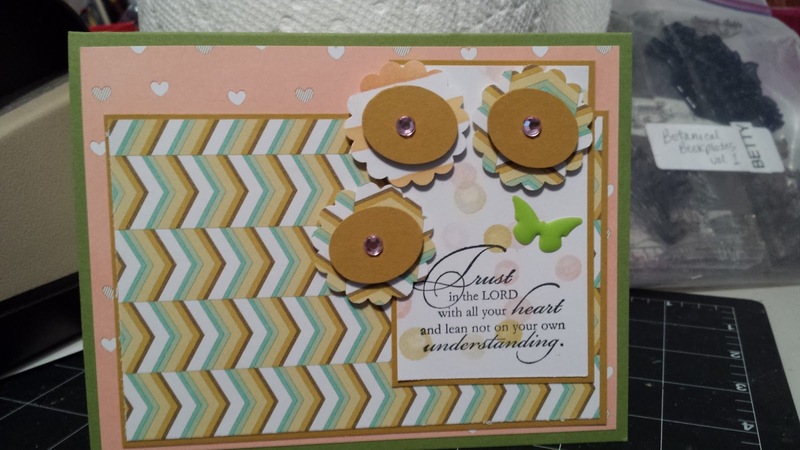 Below card was designed by Lorna it has a tri fold with a triangle design on one edge. 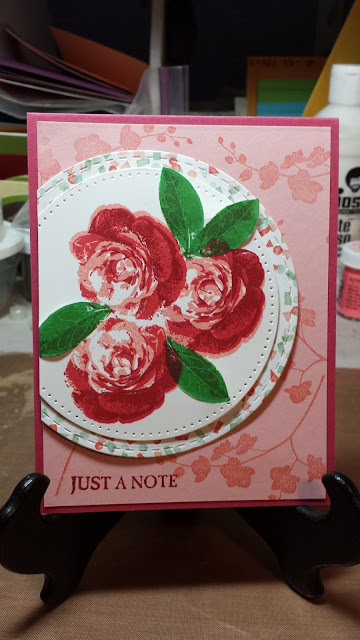 The card with the roses on it was designed by me. Window with flowers shutter fold card was designed by me. Another shimmer sheet dry embossed and iced with Staz-On ink designed by me. 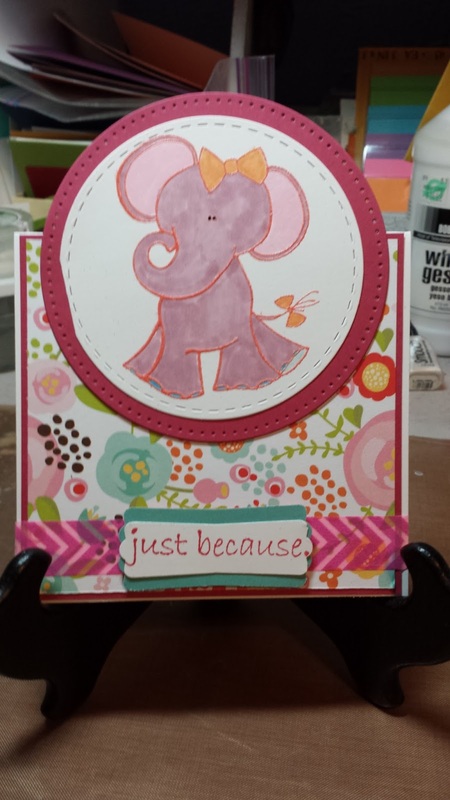 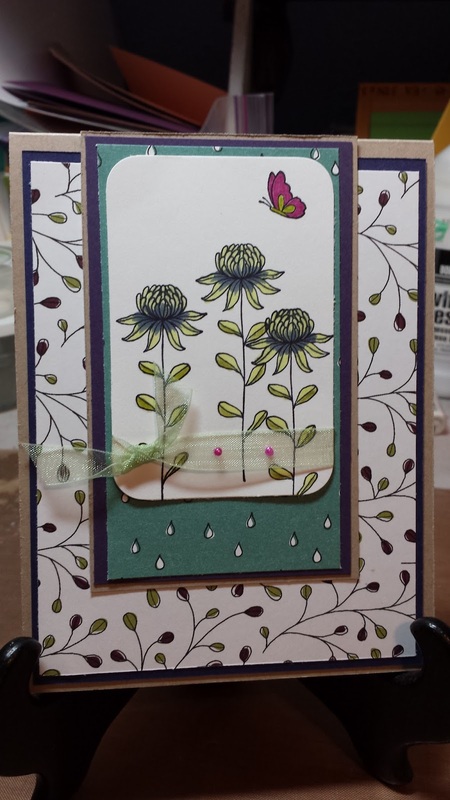 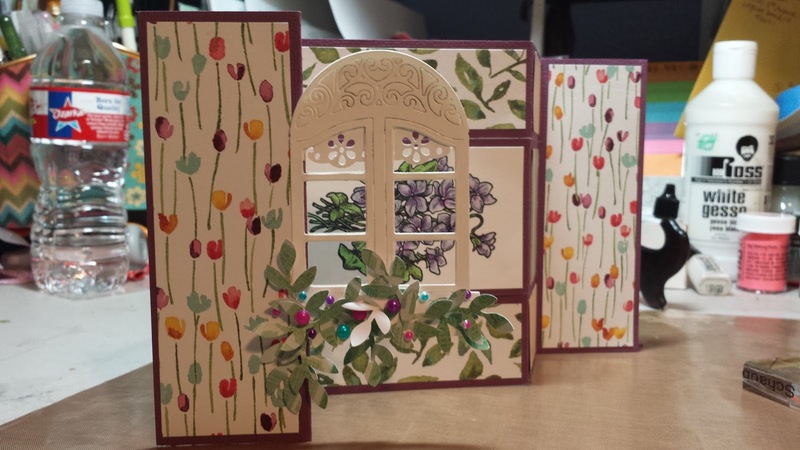 The next card with the flowers and sweet butterfly was designed by Lorna. The next two cards were designed by Deb. 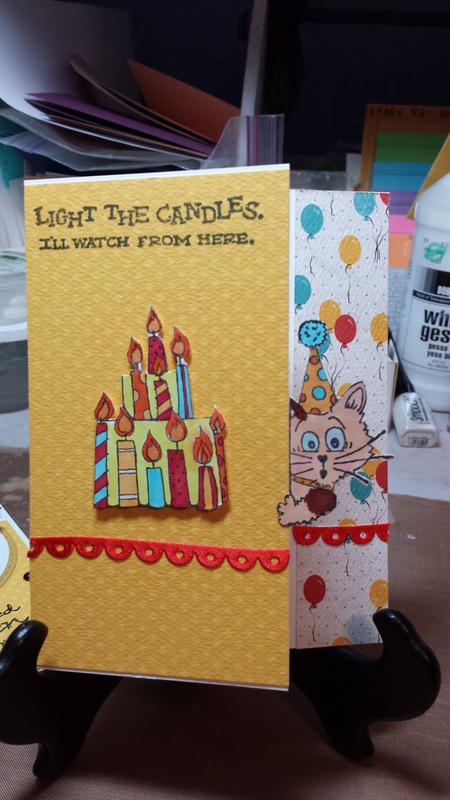 Very cute - one the scaredy cat is peeking around the corner. The one with the two ladies has a little mechanism on the back of the image to make the rock. 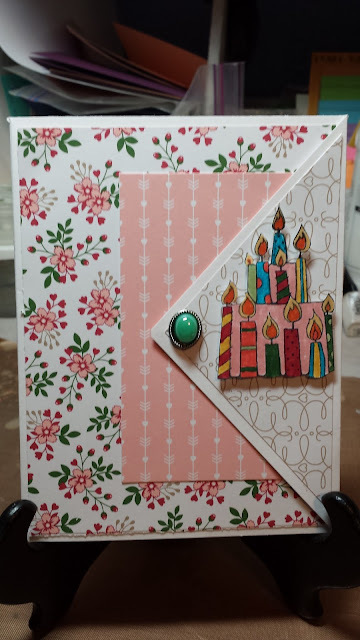 3rd row: both of these were designed by me.